Charles primarily works in the fields of environmental and development economics. He is also a Lecturer in Environment and Development at the London School of Economics and Political Science (LSE). Before joining LSE, Charles was a Senior Researcher at the Chair of Environmental Policy and Economics, ETH Zurich, Switzerland. He holds a BA in Biological Sciences from Oxford University, an MSc in Environmental and Resource Economics from University College London, and a PhD in Agricultural Economics from the University of Bonn, Germany. Charles has worked for a number of international organisations, including the United Nations Development Programme (UNDP) in New York, and the Center for International Forestry Research (CIFOR) in Indonesia. 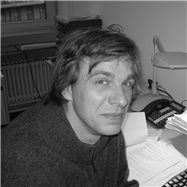 In 2009, he co-edited (with Stefanie Engel) a book on policy to implement strategies on Reducing Emissions from Deforestation and Degradation (REDD), Avoided Deforestation: Prospects for Mitigating Climate Change (Routledge).